When the bodiless one learned the secret command, in haste he came and stood before Joseph’s dwelling and spake unto the Maiden who knew not wedlock: The One who hath bowed the heavens by His descent is held and contained, unchanging, wholly in thee. Seeing Him receiving the form of a servant in thy womb, I stand in awe and cry to thee: Rejoice, thou Bride Unwedded. Rejoice, depth undiscernible even for the eyes of angels! Rejoice, assurance of those who pray in silence! Rejoice, crown of His dogmas! Rejoice, bridge that conveyest us from earth to Heaven! Rejoice, wound of demons bewailed afar! Rejoice, Thou Who didst reveal Thy secret to none! Rejoice, Thou Who givest light to the minds of the faithful! Ode 1: I shall open my mouth, and the Spirit will inspire it, and I shall utter the words of my song to the Queen and Mother: I shall be seen radiantly keeping feast and joyfully praising her wonders. Refrain: Most holy Theotokos, save us. Beholding thee, the living book of Christ, sealed by the Spirit, the great archangel exclaimed to thee, O pure one: Rejoice, vessel of joy, through which the curse of the first mother is annulled. Rejoice, Virgin bride of God, restoration of Adam and death of hell. Rejoice, all-immaculate one, palace of the King of all. Rejoice, fiery throne of the Almighty. Rejoice, O thou who alone hast blossomed forth the unfading Rose. Rejoice, for thou hast borne the fragrant Apple. Rejoice, Maiden unwedded, the pure fragrance of the only King, and preservation of the world. Rejoice, treasure-house of purity, by which we have risen from our fall. Rejoice, sweet-smelling lily which perfumeth the faithful, fragrant incense and most precious myrrh. Ode 3: O Mother of God, thou living and plentiful fount, give strength to those united in spiritual fellowship, who sing hymns of praise to thee: and in thy divine glory vouchsafe unto them crowns of glory. From thee, the untilled field, hath grown the divine Ear of grain. Rejoice, living table that hath held the Bread of Life. Rejoice, O Lady, never-failing spring of the Living Water. O Heifer that barest the unblemished Calf for the faithful, rejoice, Ewe that hast brought forth the lamb of God Who taketh away the sins of all the world. Rejoice, ardent mercy-seat. Rejoice brightest dawn, who alone barest Christ the Sun. Rejoice, dwelling-place of Light, who hast dispersed darkness and utterly driven away the gloomy demons. Both now, and ever, and unto the ages of ages. Amen. Rejoice, only door through which the Word alone hath passed. By thy birthgiving, O Lady, thou hast broken the bars and gates of hell. Rejoice, Bride of God, divine entry of the saved. To Thee, the Champion Leader, we Thy servants dedicate a feast of victory and of thanksgiving as ones rescued out of sufferings, O Theotokos: but as Thou art one with might which is invincible, from all dangers that can be do Thou deliver us, that we may cry to Thee: Rejoice, Thou Bride Unwedded! Rejoice, fold of rational sheep! Rejoice, opening of the gates of Paradise! Rejoice, for the things of earth join chorus with the heavens! Rejoice, invincible courage of the passion-bearers! Rejoice, radiant token of Grace! Rejoice, Thou through whom we are clothed with glory! Rejoice, dawn of the mystic day! Rejoice, Thou Who didst enlighten the initiates of the Trinity! Rejoice, Thou Who didst show us Christ the Lord, the Lover of mankind! Rejoice, Thou Who dost drag us from the works of mire! Rejoice, Thou Who rescuest from the flame of the passions! Rejoice, gladness of all generations! Rejoice, Thou who didst unmask the fraud of idols! Rejoice, rock that doth refresh those thirsting for life! Rejoice, shelter of the world broader than a cloud! Rejoice, minister of holy delight! Rejoice, Thou from whom floweth milk and honey! When Symeon was about to depart this age of delusion, Thou wast brought as a Babe to him, but Thou wast recognized by him as perfect God also; wherefore, marveling at Thine ineffable wisdom, he cried: Alleluia! Ode 4: He who sitteth in glory upon the throne of the Godhead, Jesus the true God, is come in a swift cloud and with His sinless hands he hath saved those who cry: Glory to Thy power, O Christ. With voices of song in faith we cry aloud to thee, who art worthy of all praise: Rejoice, butter mountain, mountain curdled by the Spirit. Rejoice, candlestick and vessel of manna, which sweeteneth the senses of all the pious. Rejoice, mercy-seat of the world, most pure Lady. 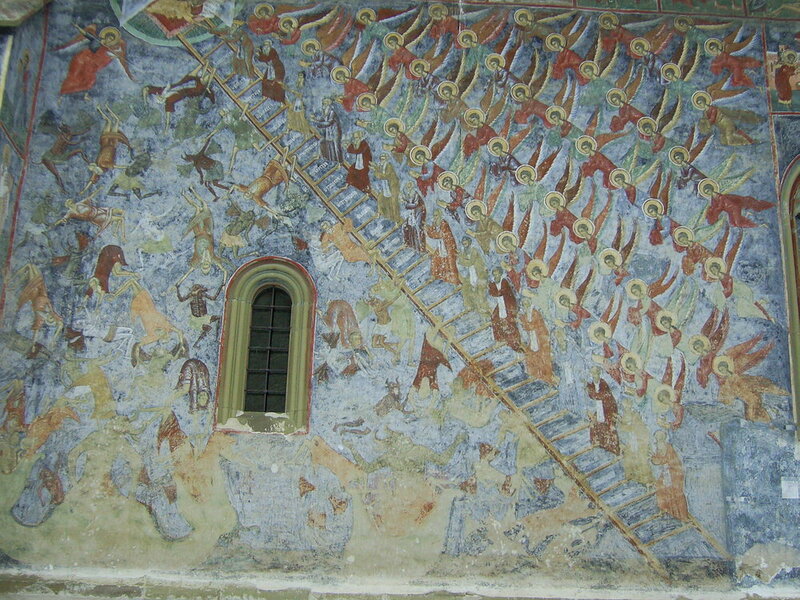 Rejoice, ladder raising all men from the earth by grace. Rejoice, bridge that in very truth hast led from death to life all those that hymn thee. Rejoice, most pure one, higher than the heavens, who didst painlessly carry within thy womb the Fountain of the earth. Rejoice, sea-shell that with thy blood didst dye a divine purple robe for the King of Hosts. Rejoice, Lady who in truth didst give birth to the lawgiver, Who freely washed clean the iniquities of all. O Maiden who hast not known wedlock, unfathomable depth, unutterable height, by whom we have been deified. Praising thee who hast woven for the world a Crown not made by hand of man, we cry to thee: Rejoice, O Virgin, the guardian of all men, fortress and stronghold and sacred refuge. Ode 5: The whole world was amazed at thy divine glory: for thou, O Virgin who hast not known wedlock, hast held in thy womb the God of all and hast given birth to an eternal Son, who rewards with salvation all who sing thy praises. Rejoice, most immaculate one, who gavest birth to the Way of life, and who savedst the world from the flood of sin. Rejoice, Bride of God, tidings fearful to tell and hear. Rejoice, dwelling-place of the Master of all creation. Rejoice, most pure one, the strength and fortress of men, sanctuary of glory, the death of hell, all-radiant bridal chamber. Rejoice, joy of angels. Rejoice, helper of them that pray to thee with faith. Rejoice, O Lady, fiery chariot of the Word, living paradise, having in thy midst the Tree of Life, the Lord of Life, Whose sweetness vivifieth all who partake of Him with faith, though they have been subject to corruption. Strengthened by thy might, we raise our cry to thee with faith: Rejoice, city of the King of all, of which things glorious and worthy to be heard were clearly spoken. Rejoice, unhewn mountain, unfathomed depth. Rejoice, most pure one, spacious tabernacle of the Word, shell which produced the divine Pearl. 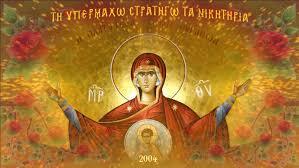 Rejoice, all-wondrous Theotokos, who dost reconcile with God all who ever call thee blessed. Ode 6: As we celebrate this sacred and solemn feast of the Mother of God, let us come, clapping our hands, O people of the Lord, and give glory to God who was born of her. O undefiled bridal chamber of the Word, cause of deification for all, rejoice, all honorable preaching of the prophet; rejoice, adornment of the apostles. From thee hath come the Dew that quenched the flame of idolatry; therefore, we cry to thee: Rejoice, living fleece wet with dew, which Gideon saw of old, O Virgin. Behold, to thee, O Virgin, we cry: Rejoice! Be thou the port and a haven for all that sail upon the troubled waters of affliction, amidst all the snares of the enemy. Thou cause of joy, endue our thoughts with grace, that we may cry to thee: Rejoice, unconsumed bush, cloud of light that unceasingly overshadowest the faithful. Rejoice, Thou Who revealest the life of the angels! Rejoice, tree of goodly shade by which many are sheltered! Rejoice, Thou that gavest birth to the Guide of those astray! Rejoice, forgiveness of many sins! Rejoice, love that doth vanquish all desire! Rejoice, door of solemn mystery! Rejoice, undoubted boast of the faithful! Rejoice, all-glorious temple of Him Who is above the Seraphim! Rejoice, Thou Who hast joined virginity and motherhood! Rejoice, Thou through whom Paradise is opened! Rejoice, hope of eternal good things! Rejoice, treasury of His Providence! Rejoice, Thou Who exposest the learned as irrational! Rejoice, for the writers of myths have faded away! Rejoice, Thou Who didst fill the nets of the fishermen! Rejoice, Thou Who enlightenest many with knowledge! Rejoice, harbor for sailors on the sea of life! Ode 7: The holy children bravely trampled upon the threatening fire, refusing to worship created things in place of the Creator, and they sang in joy: 'Blessed art Thou and praised above all, O Lord God of our Fathers. We sing of thee, saying aloud: Rejoice, chariot of the noetic Sun; true vine, that hast produced ripe grapes, from which floweth a wine making glad the souls of them that in faith glorify thee. Rejoice, Bride of God, who gavest birth to the Healer of all; mystical staff, that didst blossom with the unfading Flower. Rejoice, O Lady, through whom we are filled with joy and inherit life. No tongue, however eloquent, hath power to sing thy praises, O Lady; for above the seraphim art thou exalted, who gavest birth to Christ the King, Whom do thou beseech to deliver from all harm those that venerate thee in faith. The ends of the earth praise thee and call thee blessed, and they cry to thee with love: Rejoice, pure scroll, upon which the Word was written by the finger of the Father. Do thou beseech Him to inscribe thy servants in the book of life, O Theotokos. We thy servants pray to thee and bend the knees of our hearts: Incline thine ear, O pure one; save thy servants who are always sinking, and preserve thy city from every enemy captivity, O Theotokos. Ode 8: The Offspring of the Theotokos saved the holy children in the furnace. He who was then prefigured hath since been born on earth, and he gathers all the creation to sing: O all ye works of the Lord, praise ye the Lord and exalt Him above all for ever. 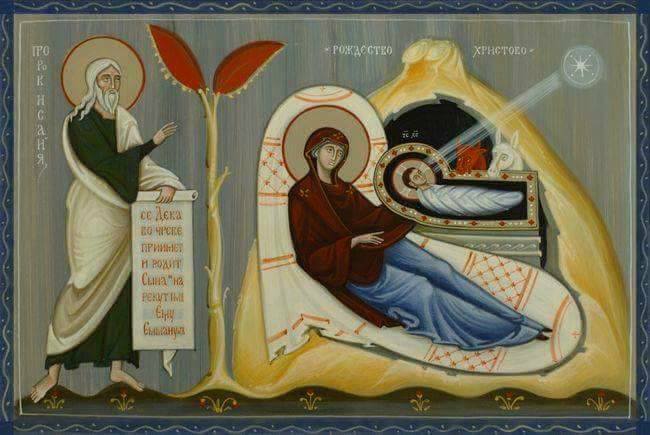 Within thy womb thou hast received the Word; thou hast carried Him who carrieth all; O pure one, thou hast fed with milk Him Who by His beck feedeth the whole world. To Him we sing: Sing to the Lord, all ye His works, and supremely exalt Him unto the ages. Moses perceived in the burning bush the great mystery of thy childbearing, while the youths clearly prefigured it as they stood in the midst of the fire and were not burnt, O Virgin pure and inviolate. Therefore do we hymn thee and supremely exalt thee unto the ages. We who once through falsehood were stripped naked, have by thy childbearing been clothed in the robe of incorruption; and we who once sat in the darkness of sin have seen the light, O Maiden, dwelling-place of Light. Therefore do we hymn thee and supremely exalt thee unto the ages. Through thee the dead are brought to life, for thou hast borne the Hypostatic Life. They who once were mute are now made to speak well; lepers are cleansed, diseases are driven out, the hosts of the spirits of the air are conquered, O Virgin, the salvation of men. Thou didst bear the salvation of the world, O pure one, and through thee we were lifted from earth to heaven. Rejoice, all-blessed, protection and strength, rampart and fortress of those who sing: O all ye works of the Lord, praise ye the Lord and supremely exalt Him unto the ages. Ode 9: Let every mortal born on earth, radiant with light, in spirit leap for joy; and let the host of the angelic powers celebrate and honor the holy feast of the Mother of God, and let them cry: Rejoice! Pure and blessed Ever-Virgin, who gavest birth to God. Let us, the faithful, call to thee: Rejoice! Through thee, O Maiden, we have become partakers of everlasting joy. Save us from temptations, from barbarian captivity, and from every other injury that befalleth sinful men because of the multitude of their transgressions. Thou hast appeared as our enlightenment and confirmation; wherefore, we cry to thee: Rejoice, never-setting star that bringest into the world the great Sun. Rejoice, pure Virgin that didst open the closed Eden. Rejoice, pillar of fire, leading mankind to a higher life. Let us stand with reverence in the house of our God, and let us cry aloud: Rejoice, Mistress of the world. Rejoice, Mary, Lady of us all. Rejoice, thou who alone art immaculate and fair among women. Rejoice, vessel that receivedst the inexhaustible myrrh poured out on thee. Thou dove that hast borne the Merciful One, rejoice, ever-virgin! Rejoice, glory of all the saints. Rejoice, crown of martyrs. Rejoice, divine adornment of all the righteous and salvation of us the faithful. Spare Thine inheritance, O God, and pass over all our sins now, for as intercessor in Thy sight, O Christ, Thou hast her that on earth gave birth to Thee without seed, when in Thy great mercy Thou didst will to take the form of man. Rejoice, bestower of divine good! Rejoice, for Thou gavest wisdom to those robbed of their minds! Rejoice, Thou Who gavest birth to the Sower of purity! Rejoice, Thou Who dost wed the faithful to the Lord! Rejoice, adorner of holy souls as for marriage! Rejoice, radiance of the Unsetting Light! Rejoice, thunder that terrifiest our enemies! Rejoice, for Thou didst cause the river of many streams to gush forth! Rejoice, Thou Who blottest out the stain of sin! Rejoice, cup that drawest up joy! Rejoice, life of mystical gladness! Rejoice, greater holy of holies! Rejoice, inexhaustible treasury of life! Rejoice, venerable boast of reverent priests! Rejoice, inviolable wall of the kingdom! Rejoice, Thou through whom foes fall prostrate! Rejoice, salvation of my soul! “Through the prayers of our holy fathers, O Lord Jesus Christ our God, have mercy on us. Let us consider of what great blessings for us Christ's Cross has become the cause. For though the Lord's Cross sounds sad and bitter, it is in reality full of joy and radiance. For the Cross is the salvation of the Church; the Cross is the boast of those who hope in it; the Cross is reconciliation of enemies to God and conversion of sinners to Christ. For through the Cross we have been delivered from enmity, and through the Cross we have been joined in friendship to God. Through the Cross we have been freed from the tyranny of the devil, and through the Cross we have been delivered from death and destruction. 'When the Cross was not proclaimed, we were held fast by death; now the, Cross is proclaimed, and we have. come to despise death, as though it did not exist, while we have come to long for everlasting life. 'When the Cross was not proclaimed, we were strangers to paradise; but when the Cross appeared, at once a thief was found worthy of paradise. From such darkness the human race has crossed over to infinite light; from death it has been called to everlasting life, from corruption it has been renewed for incorruption. For the eyes of the heart are no longer covered by the darkness that comes through ignorance, but through the Cross they are flooded with the light of knowledge. The ears of the deaf are no longer shut by unbelief, for the deaf have heard the word of the Lord, and the blind have recovered their sight to see the glory of God. These are the gifts we are given through the Cross. What blessing has not been achieved for us through the Cross? The Cross is proclaimed, and faith in God is confessed and truth prevails in the whole inhabited world. The Cross is proclaimed, and martyrs are revealed and confession of Christ prevails. The Cross is proclaimed, and the resurrection is revealed, life is made manifest, the kingdom of heaven is assured. The Cross has become the cause of all these things, and through the Cross we have been taught to sing. What then is more precious than the Cross? What more profitable for our souls? So let us not be ashamed to name the Cross, but let us confess it with total confidence. Christ is hung upon the Cross, and the devil has become a corpse. Christ has been stretched on the Cross, and a standard of salvation has been given to the world. Christ has been nailed to the Cross, and every soul has been released from bonds. Christ has been fixed to the Cross, and all creation has been set free from the slavery of corruption. Christ has breathed his last on the Cross, and a new marvel has been shown to the world; for the sun's light is darkened. This what a prophetic saying cries out, "And it shall come to pass in that day, says the Lord, that the sun will set at midday, and the light will become dark in the daytime, and I will change all your feasts into grief and all your songs into laments" [Amos 8:9]. Do you see, beloved, how great a mystery the prophetic saying holds? For here the deeds of both are intimated: I mean of the Jews, who are under the law, and of the nations, who are outside the law, who both practice iniquity. For those who feast according to the law will grieve as they celebrate their feasts, and instead of songs, they make lamentations over Jerusalem. For Jerusalem will no longer hold solemn rites, and no feast will be celebrated in it. While pagan nations will mourn, making confession for their sins, and mourning is cause of blessedness. For scripture says, "Blessed are those who mourn, for they will be comforted" [Matthew 5:4]. They will mourn, then, over their empty feasts and lawless songs that they performed for the unclean demons. Take note then today how a pagan, repenting for the evil things he has done, laments and says with the prophet, "We have erred and strayed in our shame, and our sins have covered us, for we have been filled with our impiety. We have acknowledged the iniquities of our fathers". So then let us too lament and mourn for the evils that have been laid to our charge; let us cling to the Cross, placing all our hopes on the Cross, so that taught through the Cross, fixing our thought on heaven, being brought close to Christ our Saviour, we may be found worthy to be near God in the kingdom of heaven, in Christ our Lord himself, to whom be glory and might to the ages of ages. Amen. Translation of text by permission of copyright © of the Very Rev. Archimandrite of the Oecumenical Throne Ephrem Lash. www.anastasis.org.uk. In those days, Elizabeth the wife of Zacharias conceived and for five months she hid herself, saying, “Thus the Lord had done to me in the days when he looked on me, to take away my reproach among men.” In the sixth month the angel Gabriel was sent from God to a city of Galilee named Nazareth, to a virgin betrothed to a man whose name was Joseph, of the house of David; and the virgin’s name was Mary. And he came to her and said, “Hail, O favored one, the Lord is with you! Blessed are you among women!” But she was greatly troubled at the saying, and considered in her mind what sort of greeting this might be. And the angel said to her, “Do not be afraid, Mary, for you have found favor with God. And behold, you will conceive in your womb and bear a son, and you shall call his name Jesus. He will be great, and will be called the Son of the Most High; and the Lord God will give to him the throne of his father David, and he will reign over the house of Jacob for ever; and of his kingdom there will be no end.” And Mary said to the angel, “How shall this be, since I have no husband?” And the angel said to her, “The Holy Spirit will come upon you, and the power of the Most High will overshadow you; therefore the child to be born will be called holy, the Son of God. 2nd Sunday of the Great Lent-of Saint Gregory Palamas. Orthros and Divine Liturgy. “IN THE BEGINNING, Thou, Lord, didst found the earth in the beginning, and the heavens are the work of thy hands; they will perish, but thou remainest; they will all grow old like a garment, like a mantle thou wilt roll them up, and they will be changed. But thou art the same, and thy years will never end.” But to what angel has he ever said, “Sit at my right hand, till I make thy enemies a stool for thy feet?” Are they not all ministering spirits sent forth to serve, for the sake of those who are to obtain salvation? Therefore we must pay closer attention to what we have heard, lest we drift away from it. For if the message declared by angels was valid and every transgression or disobedience received a just retribution, how shall we escape if we neglect such a great salvation? It was declared at first by the Lord, and it was attested to us by those who heard him. This divine Father, who was from Asia Minor, was from childhood reared in the royal court of Constantinople, where he was instructed in both religious and secular wisdom. Later, while still a youth, he left the imperial court and struggled in asceticism on Mount Athos, and in the Skete at Beroea. He spent some time in Thessalonica being treated for an illness that came from his harsh manner of life. He was present in Constantinople at the Council that was convened in 1341 against Barlaam of Calabria, and at the Council of 1347 against Acindynus, who was of like mind with Barlaam; Barlaam and Acindynus claimed that the grace of God is created. At both these Councils, the Saint contended courageously for the true dogmas of the Church of Christ, teaching in particular that divine grace is not created, but is the uncreated energies of God which are poured forth throughout creation: otherwise it would be impossible, if grace were created, for man to have genuine communion with the uncreated God. In 1347 he was appointed Metropolitan of Thessalonica. He tended his flock in an apostolic manner for some twelve years, and wrote many books and treatises on the most exalted doctrines of our Faith; and having lived for a total of sixty-three years, he reposed in the Lord in 1359. Brethren, by faith Moses, when he was grown up, refused to be called the son of Pharaoh’s daughter, choosing rather to share ill-treatment with the people of God than to enjoy the fleeting pleasures of sin. And what more shall I say? For time would fail me to tell of Gideon, Barak, Samson, Jephthah, of David and Samuel and the prophets — who through faith conquered kingdoms, enforced justice, received promises, stopped the mouths of lions, quenched raging fire, escaped the edge of the sword, won strength out of weakness, became mighty in war, put foreign enemies to flight. Women received their dead by resurrection. Some were tortured, refusing to accept release, that they might rise again to a better life. Others suffered mocking and scourging, and even chains and imprisonment. They were stoned, they were sawn in two, they were killed with the sword; they went about in skins of sheep and goats, destitute, afflicted, ill-treated — of whom the world was not worthy — wandering over deserts and mountains, and in dens and caves of the earth. And all these, though well attested by their faith, did not receive what was promised, since God had foreseen something better for us, that apart from us they should not be made perfect. The first Sunday of the Holy and Great Lent is dedicated to our Holy Orthodoxy. After six days of strict fasting of the First Week of Lent of intensive and warm prayer, of cleansing of soul and body, the faithful are in a joyful and celebrating atmosphere. “A day full of joy and delight has appeared today” chants the sacred muse of hymnography, “for the brightness of the very true dogmas shine, and the Church of Christ lightens in splendour now, decorated with the restoration of the holy Icons and engravings, and a God-awarded harmony of the faithful is brought about”. A joyful day. Full of delight. A day on which the Church of Christ sparkles and shines decorated with the holy icons, enriched with the sacred Relics of Saints, honoured and glorified with the precious blood of the Martyrs. A day on which, in a solemn and festive way She declares that we are Her genuine children, that we hold intact the treasure of faith unadulterated from errors and heresies. That we continue the tradition of piety and the life in God. As the prophets saw. As the Apostles taught. As the Church received. As the Teachers dogmatised. As the world agreeably accepted. As the Grace shone. As the Truth was proven. As the lie has disappeared. As the Wisdom boldly appeared. As Christ rewarded. “…come, therefore, and let us accompany Him, with minds purified from the pleasures of this life, and let us be crucified and die with Him that we may live with Him” (Idiomelon of the Praises, Good Monday). 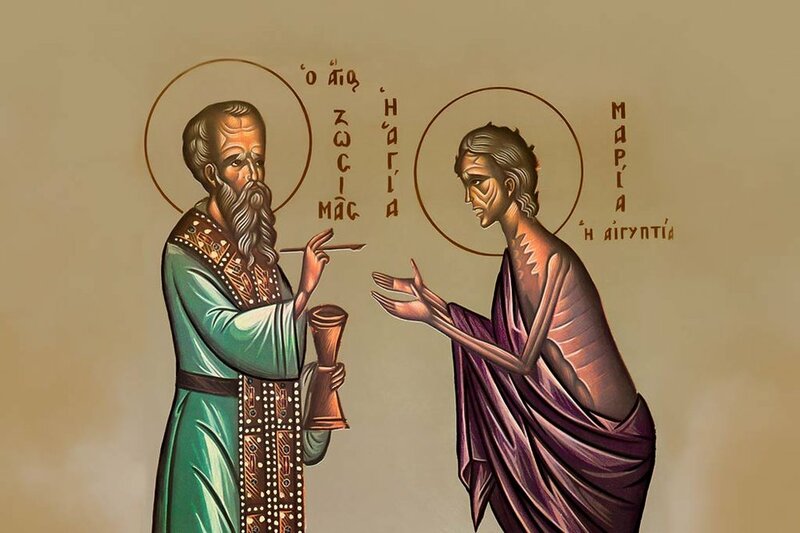 Suffering Orthodoxy which carries apostolically the marks of the Lord Jesus and descends daily to the chambers of hades and She is like Him “dead full of life”. “Yesterday I was buried with You, O Christ; today on Your Resurrection I am rising with You: I was crucified with You yesterday. You glorify me with You, O Saviour, in Your Kingdom” (Troparion 3rd Ode Easter Canon). This is Orthodoxy, the Suffering, but whose “hope and immortality is complete” in Christ, this our Orthodoxy which is the One, Holy, Catholic and Apostolic Church of Christ we commemorate and celebrate on the first Sunday of Lent, commemorating and celebrating the restoration of the holy icons and the justification of rendering, honour, respect and reverence to the sacred relics of the Saints, according to the irrevocable and God inspired teaching of the Holy Seventh Ecumenical Synod and the teaching of all the Spirit bearing and deified Holy Fathers. 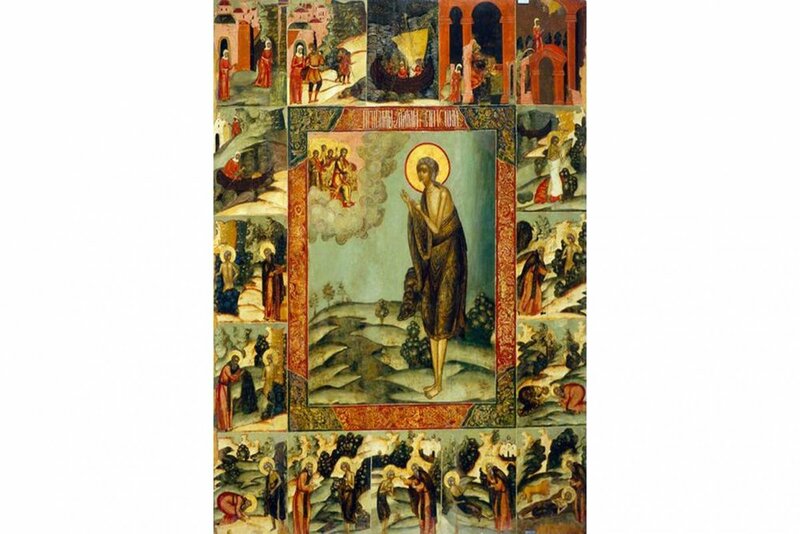 The Orthodox icon is the expression, in the form of paintings, of the Orthodox Faith and Life. It is the divine script in the form of figures and colours. It is a loud proclamation of the inspiration and energies of the All Holy Spirit in the life of the Church. It is the initiator, to all those who see it and venerate it with faith and devotion, into the mystery of piety. It is the bearer of the Divine Grace as so many miracle working and perfumed exuding icons confirm. On the other hand, the sacred relics of Saints, whether they are preserved as whole bodies or as parts of the body or even as fragments of the bones, by their incorruption they provide the most powerful proof of the fact that God is participable, through His Uncreated Energies. And man, by living in faith the great mystery of piety, by struggling according to the model of Jesus Christ, by cultivating the gospel”s virtues, by being nourished by the Sacraments and sanctified by his participation in the whole life of the Body of the Church “together with all the Saints”, has communion with God not only spiritually, but also bodily. The whole man, body and soul, becomes participant of divine nature. Saturday of Souls. St. Great Martyrs Theodore of Tyro and Theodore of Stratilatis. Orthros and Divine Liturgy. Cheesefare Sunday (Forgiveness Sunday). Orthros and Divine Liturgy. The Lord said, “If you forgive men their trespasses, your heavenly Father also will forgive you; but if you do not forgive men their trespasses, neither will your Father forgive your trespasses. “And when you fast, do not look dismal, like the hypocrites, for they disfigure their faces that their fasting may be seen by men. Truly, I say to you, they have received their reward. But when you fast, anoint your head and wash your face, that your fasting may not be seen by men but by your Father who is in secret; and your Father who sees in secret will reward you. Meatfare Sunday-Judgement Sunday. Matins and Divine Liturgy. Brethren, food will not commend us to God. We are no worse off if we do not eat, and no better off if we do. Only take care lest this liberty of yours somehow become a stumbling block to the weak. For if any one sees you, a man of knowledge, at table in an idol’s temple, might he not be encouraged, if his conscience is weak, to eat food offered to idols? And so by your knowledge this weak man is destroyed, the brother for whom Christ died. Thus, sinning against your brethren and wounding their conscience when it is weak, you sin against Christ. Therefore, if food is a cause of my brother’s falling, I will never eat meat, lest I cause my brother to fall. Saturday of Souls. Matins and Divine Liturgy. Sunday of Prodigal Son. Matins and Divine Liturgy. Brethren, it is the God who said, “Let light shine out of darkness,” who has shone in our hearts to give the light of the knowledge of the glory of God in the face of Christ. But we have this treasure in earthen vessels, to show that the transcendent power belongs to God and not to us. We are afflicted in every way, but not crushed; perplexed, but not driven to despair; persecuted, but not forsaken; struck down, but not destroyed; always carrying in the body the death of Jesus, so that the life of Jesus may also be manifested in our bodies. For while we live we are always being given up to death for Jesus’ sake, so that the life of Jesus may be manifested in our mortal flesh. So death is at work in us, but life in you. Since we have the same spirit of faith as he had who wrote, “I believed, and so I spoke,” we too believe, and so we speak, knowing that he who raised the Lord Jesus will raise us also with Jesus and bring us with you into his presence. For it is all for your sake, so that as grace extends to more and more people it may increase thanksgiving, to the glory of God. Sunday of the Publican and Pharisee. Triodion begins today. Matins and Divine Liturgy. 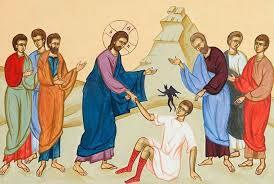 Sunday of Canaanite. St. Charalambos. Matins and Divine Liturgy. Saint Charalambos was a priest in the city of Magnesia, near Smyrna in Asia Minor. About 198 AD, Sevirus, the Emperor of the Roman Empire had appointed Loucius to govern Asia Minor. Many Christians were persecuted under his reign. At this time Charalambos was in Magnesia and openly taught the Christian religion. When Loucius discovered this, he captured Charalambos for trial. Asked why he condemned the idols and disobeyed the laws of the Empire, Charalambos informed Loucius that he adhered to the laws of Jesus Christ and no others. He maintained that Christ offered eternal life to his followers. 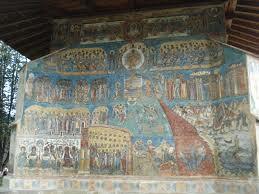 The governor commanded Charalambos to sacrifice to the gods and forsake Christ, or else undergo fierce tortures. The Saint refused to deny his beliefs. Saint Charalambos was stripped of his clothing and his body was ripped with iron claws. He withstood the torture with courage. One of the dukes became enraged that he took the iron claw and began to rip Charalambos’ flesh with more fervour than his soldiers. At this point the first miracle occurred. The Duke’s hands became paralysed. Screaming, he asked Loucius to help him. Seeing the Duke’s plight, the governor spat in the Saint’s face. Immediately the pagan’s head twisted in an awkward position, where it remained. The onlookers were terrified and begged the Saint to pray to Christ to save them. Charalambos beckoned them to pray and ask forgiveness for their sins. The Duke pleaded with Charalambos to pray to Christ to recover the use of his hands. When the Saint finished praying, the Duke’s hands were healed. He was then baptised and became a devout Christian. A young man had died in the city and Sevirus ordered the Saint to resurrect him to show the strength of his God. After praying several hours, God, through Charalambos, performed the miracle. Many pagans converted to Christianity when they saw this, however, an eparch named Crispos asked Sevirus to execute the Saint because he had performed this miracle through the use of magic. Sevirus asked Charalambos to sacrifice to the gods to save himself but he refused, therefore, Sevirus ordered his soldiers to hit the Saint’s jaws with rocks and burn his face and beard with torches. The fire reflected off the Saint’s face and burned the bystanders. Sevirus was amazed at this time and was curious to know who Christ was. Crispos said to him that a harlot named Mary had borne Him. A man named Aristarchos warned Crispos not to blaspheme. A fit of madness overcame Sevirus and as he shot arrows towards the sky, he ordered Christ to come and fight him. Suddenly, the earth quaked and a fierce storm arose. Sevirus and Crispos begged the Saint to save them. Sevirus’ daughter Galinee, came into the room and warned her father to believe in Christ. She asked the Saint to forgive her father and to pray to God to end this calamity. The Saint prayed and the acts of God stopped. After 30 days, Sevirus again told Charalambos to sacrifice to the gods, but Charalambos refused. He then ordered that a bridle be placed in the Saint’s mouth and that he be taken throughout the city in the same manner as a horse. Galinee begged her father to stop these tortures or else he would be condemned to eternal damnation. Sevirus was angered by his daughter’s words and ordered her to sacrifice to the gods. In the Temple of Zeus she told the priests that she cursed the gods, then she prayed to the true God. The statues of all the gods were destroyed. Sevirus ordered more statues to be made and placed in the temple so the people would not mock the gods. Once again, Galinee went to the temple, prayed to God and the statues were destroyed. 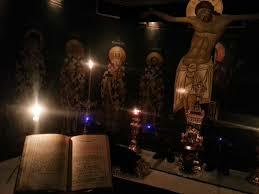 O wise Charalambos, you were proven an unshakable pillar of the Church of Christ; an ever-shining lamp of the universe. You shone in the world by your martyrdom. You delivered us from the moonless night of idolatry O blessed one. Wherefore, boldly intercede to Christ that we may be saved. O Priest-martyr, athlete, champion Charalambos, your relics are a priceless treasure of the Church. Wherefore she rejoices, glorifying the Creator. 16th Sunday of Matthew. Matins and Divine Liturgy. Brethren, working together with him, we entreat you not to accept the grace of God in vain. For he says, “At the acceptable time I have listened to you, and helped you on the day of salvation.” Behold, now is the acceptable time; behold, now is the day of salvation. We put no obstacle in any one’s way, so that no fault may be found with our ministry, but as servants of God we commend ourselves in every way: through great endurance, in afflictions, hardships, calamities, beatings, imprisonments, tumults, labors, watching, hunger; by purity, knowledge, forbearance, kindness, the Holy Spirit, genuine love, truthful speech, and the power of God; with the weapons of righteousness for the right hand and for the left; in honor and dishonor, in ill repute and good repute. We are treated as impostors, and yet are true; as unknown, and yet well known; as dying, and behold we live; as punished, and yet not killed; as sorrowful, yet always rejoicing; as poor, yet making many rich; as having nothing, and yet possessing everything. 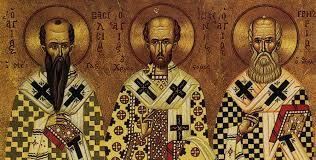 Synaxis of the Three Hierarchs, Basil the Great, Gregory the Theologian and John Chrysostom. Matins and Divine Liturgy. 12t Sunday of Luke. Saint Euthimios the Great. Matins and Divine Liturgy. Sunday after Epiphany. Matins and Divine Liturgy. BRETHREN, grace was given to each of us according to the measure of Christ’s gift. Therefore it is said, “When he ascended on high he led a host of captives, and he gave gifts to men.” (in saying, “He ascended,” what does it mean but that he had also descended into the lower parts of the earth? He who descended is he who also ascended far above all the heavens, that he might fill all things.) And his gifts were that some should be apostles, some prophets, some evangelists, some pastors and teachers, to equip the saints for the work of ministry, for building up the body of Christ, until we all attain to the unity of the faith and of the knowledge of the Son of God, to mature manhood, to the measure of the stature of the fullness of Christ. On this day we celebrate the Feast of the holy prophet St John the Baptist and Forerunner as well as the coming of his most holy Relic (hand) to Constantinople. We received from above and from the beginning to celebrate the Feast of the Holy Forerunner and Baptist John one day after Holy Epiphany, i.e. January 7th, because he served at the mystery of the Lord’s Baptism. For this reason this feast is counted with the rest of the Forerunner’s feasts so that we should not keep silence over his miraculous and supernatural gifts. It happened that on the evening of Epiphany, the arrival of the holy hand of the Forerunner to Constantinople took place. St Luke the Evangelist went to the city of Sebaste, in which as they say the holy body of the Forerunner was buried, and, after he had received the right hand of the prophet’s body, he brought it to Antioch, his home city, where it performed a lot of miracles. One of these miracles is the following. Just outside the city of Antioch there lurked a dragon who was raised to the level of a god by the Greeks living in Antioch. They honoured him every year with a sacrifice. The worst part of it was that the victim was human. As time passed the lot fell upon a Christian to give his daughter to the dragon. He would come out of his cave dreadful and horrible to look at and would open his mouth to receive the victim offered to him. Then he would tear her apart with his teeth. The memory of the just is celebrated with hymns of praise, but the Lord’s testimony is sufficient for you, O Forerunner; for you have proved to be truly even more venerable than the Prophets, since you were granted to baptise in the running waters Him Whom they proclaimed. Therefore, having contested for the truth, you rejoiced to announce the good tidings even to those in Hades: that God has appeared in the flesh, taking away the sin of the world and granting us great mercy. The Jordan accepted your presence in the flesh and reversed its course in fear. John, fulfilling the spiritual ministry, fell back in awe. The ranks of Angels, seeing you in the flesh, baptised in the river, were amazed, and all who were in darkness were filled with light, praising you who appeared and enlightened all. 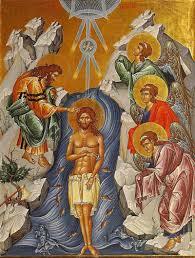 Lord, when You were baptised in the Jordan, the veneration of the Trinity was revealed. For the voice of the Father gave witness to You, calling You Beloved, and the Spirit, in the guise of a dove, confirmed the certainty of His words. Glory to You, Christ our God, who appeared and enlightened the world. Since the Mosaic Law commands that if a woman give birth to a male child, he should be circumcised in the foreskin of his flesh on the eighth day (Lev 12:2-3), on this, the eighth day from His Nativity, our Saviour accepted the circumcision commanded by the Law. According to the command of the Angel, He received the Name, which is above every name, Jesus that means Saviour (Matt 1: 21; Luke 1: 31 and 2: 21). Our human form you have taken on yourself without change, O greatly compassionate Master, though being God by nature; fulfilling the Law, You willingly received circumcision in the flesh, that you might end the shadow and roll away the veil of our sinful passions. Glory be to You goodness unto us. Glory be to your compassion. Glory, O Word, to your inexpressible condescension. Now the Lord of all that is has undergo circumcision, in His goodness cutting off the sins and failings of mortals. He this day gives salvation unto the whole world; and the hierarch and bright Daystar of the Creator now rejoice in the highest, Basil the wise and divine initiate of Christ. St Basil the Great was born about the end of the year 329 AD in Caesarea of Cappadocia, to a family renowned for their learning and holiness. His parent’s names were Basil and Emily. His mother Emily (commemorated July 19) and his grandmother Macrina (January 14) are Saints of the Church, together with all his brothers and sisters: Macrina, his elder sister (July 19), Gregory of Nyssa (January 10), Peter of Sebastia (January 9), and Naucratius. Basil studied in Constantinople under the sophist Libanius, then in Athens, where also he formed a friendship with the young Gregory, a fellow Cappadocian, later called “the Theologian”. Through the good influence of his sister Macrina, he chose to embrace the ascetical life, abandoning his worldly career. He visited the monks in Egypt, in Palestine, in Syria, and in Mesopotamia, and upon returning to Caesarea, he departed to a hermitage on the Iris River in Pontus, not far from Annesi, where his mother and his sister Macrina were already treading the path of the ascetical life; here he also wrote his ascetical homilies. About the year 370 AD, when the bishop of his country reposed, he was elected to succeed to his throne and was entrusted with the Church of Christ, which he tended for eight years, living in voluntary poverty and strict asceticism, having no other care than to defend holy Orthodoxy as a worthy successor of the Apostles. The Emperor Valens, and Modestus, the Eparch of the East, who were of one mind with the Arians, tried with threats of exile and of torments to bend the Saint to their own confession, because he was the bastion of Orthodoxy in all Cappadocia, and preserved it from heresy when Arianism was at its strongest. However, he set all their malice at nought, and in his willingness to give himself up to every suffering for the sake of the Faith, showed himself to be a martyr by volition. Modestus, amazed at Basil’s fearlessness in his presence, said that no one had ever so spoken to him. “Perhaps”, answered the Saint, “you have never met a bishop before”. The Emperor Valens himself was almost won over by Basil’s dignity and wisdom. When Valens’ son fell gravely sick, he asked St Basil to pray for him. The Saint promised that his son would be restored if Valens agreed to have him baptized by the Orthodox; Valens agreed, Basil prayed, the son was restored. However, afterwards the Emperor had him baptized by Arians, and the child died soon after. Later, Valens, persuaded by his counsellors, decided to send the Saint into exile because he would not accept the Arians into communion; but his pen broke when he was signing the edict of banishment. He tried a second time and a third, but the same thing happened, so that the Emperor was filled with dread, and tore up the document, and Basil was not banished. The truly great Basil, spent with extreme ascetical practices and continual labours at the helm of the Church, departed to the Lord on the 1st of January, in 379 AD, at the age of 49. His writings are replete with wisdom and erudition, and with these gifts he set forth the doctrines concerning the mysteries both of the creation (see his Hexaemeron) and of the Holy Trinity (see ‘On the Holy Spirit’). Because of the majesty and keenness of his eloquence, he is honoured as “the revealer of heavenly things” and St Basil is also celebrated on January 30 with St Gregory the Theologian, and St John Chrysostom. You sound has gone forth into all the earth, which has received your word. Thereby you have divinely taught the Faith; you have made manifest the nature of all things that be; you have adorned the ways of man. O namesake of the royal priesthood, our righteous Father Basil, intercede with Christ God that our souls be saved. For the Church you are in truth a firm foundation, granting an inviolate lordship unto all mortal men and sealing it with what you have taught, O righteous Basil, revealer of heavenly things. IN THOSE DAYS, Stephen, full of grace and power, did great wonders and signs among the people. Then some of those who belonged to the synagogue of the Freedmen (as it was called), and of the Cyrenians, and of the Alexandrians, and of those from Cilicia and Asia, arose and disputed with Stephen. But they could not withstand the wisdom and the Spirit with which he spoke. Then they secretly instigated men, who said, “We have heard him speak blasphemous words against Moses and God.” And they stirred up the people and the elders and the scribes, and they came upon him and seized him and brought him before the council, and set up false witnesses who said, “This man never ceases to speak words against this holy place and the law; for we have heard him say that this Jesus of Nazareth will destroy this place, and will change the customs which Moses delivered to us.” And gazing at him, all who sat in the council saw that his face was like the face of an angel. And the high priest said, “Is this so?” And Stephen said: “Brethren and fathers, hear me. The God of glory appeared to our father Abraham, when he was in Mesopotamia, before he lived in Haran, and said to him, ‘Depart from your land and from your kindred and go into the land which I will show you.’ Then he departed from the land of the Chaldeans, and lived in Haran. And after his father died, God removed him from there into this land in which you are now living; yet he gave him no inheritance in it, not even a foot’s length, but promised to give it to him in possession and to his posterity after him, though he had no child. The Holy Protomartyr Stephen was a kinsman of the Apostle Paul and one of those Jews who lived in a Hellenic milieu. Stephen was the first of the seven deacons whom the holy apostles ordained for the service of the poor in Jerusalem. This is why he is called the Archdeacon – the first, or chief, of them. By the power of his faith, Stephen worked many wonders among the people. The wicked Jews disputed with him, but were always confounded by his wisdom and the power of the Spirit who acted through him. Then the shameful Jews, adept at calumny and slander, stirred up the people and leaders against this innocent man. They slandered Stephen, saying that he had blasphemed against God and against Moses, and quickly found false witnesses who supported their assertion. Then Stephen stood before the people, and all saw his face ‘like the face of an angel:’ that is, his face was illumined by the light of grace as was the face of Moses when he talked with God. Stephen opened his mouth and spoke of God’s manifold works and marvels, performed in the past for the People of Israel, and of the people’s manifold transgressions and opposition to God. He especially denounced them for the slaying of Christ the Lord, calling them ‘betrayers and murderers’ (Acts 7:52). While they ground their teeth, Stephen looked and saw the heavens open and the glory of God, and spoke to the Jews of what he saw: ‘Behold, I see the heavens opened, and the Son of Man standing on the right hand of God’ (7:56). Then the malicious men took him out of the city and stoned him to death. Among his murderers was his kinsman Saul, later the Apostle Paul. At that time, the most holy Mother of God was standing on a rock at a distance with St. John the Theologian, and witnessed the martyrdom of this first martyr for the truth of her Son and God, and she prayed for Stephen. Thou art crowned with a royal diadem/ for contests endured in Christ’s name, O First and holy Martyr;/ thou didst put to shame thy persecutors/ and see thy Savior at the right hand of the Father./ Ever pray to Him for our souls. Yesterday the Master came to us in the flesh,/ today His servant departs in the flesh;/ yesterday the King was born in the flesh;/ today His servant is stoned to death for His sake./ Hence the divine and first Martyr Stephen is made perfect.